Black gold, oil, has been on fire this year. It is the best asset YTD and has managed attracting a lot of “new net longs”. 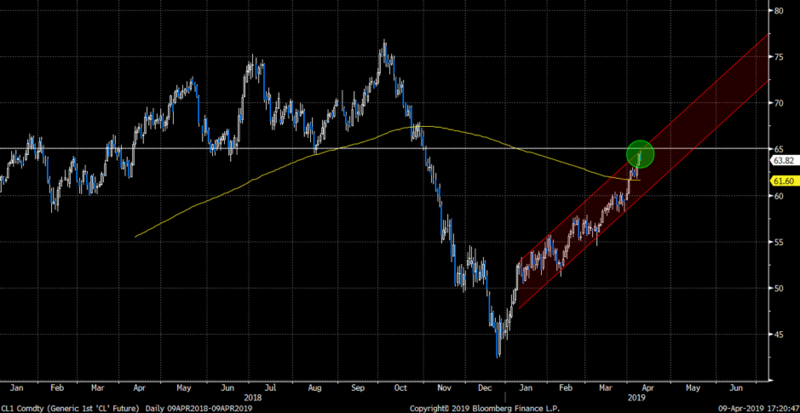 Price of oil has traded in a perfect trend channel but is reversing some today. At this stage it is just a small reversal, but the 65 level is huge. 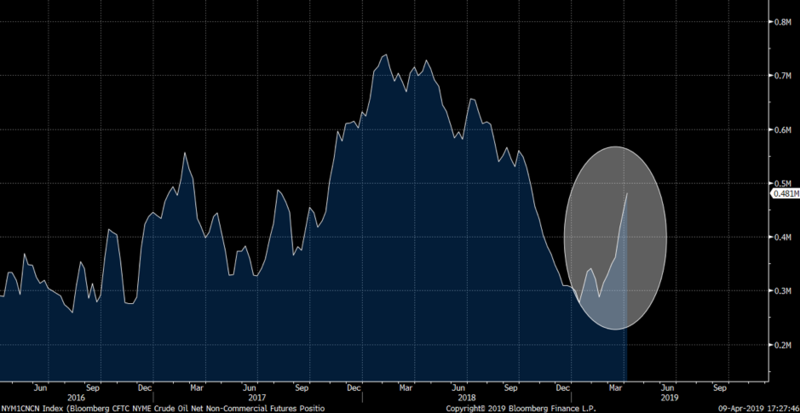 The Aramco bond deal would be perfectly timed, if “they” sold it right on the day oil reversed lower…. 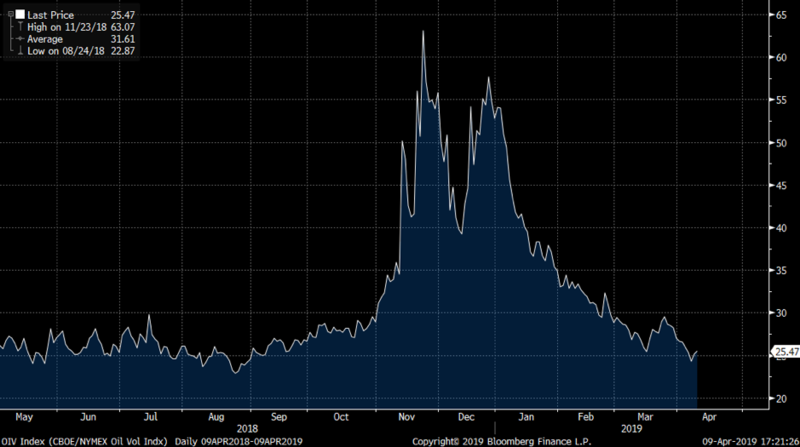 Oil volatility has imploded along global vols, but given the pace of the move higher, picking up some cheap oil hedges is probably not a stupid idea. 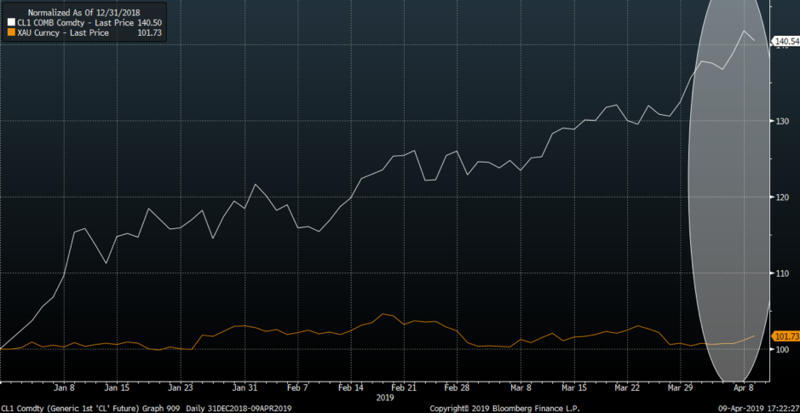 While oil has been on fire, the other USD denominated asset, gold, has continued threading water. Two assets, both priced in oil, and pricing similar “risks”. The gap is very big here. Being bullish oil here is by no means a unique view. Net non-commercial speculators have increased long oil bets over the past weeks. It would be ironic to see Aramco nail this the local high.